Gracie Goodwin with her largest Kokanee salmon (18") of 2016. Whiskeytown Lake saw a banner year of Kokanee salmon fishing in 2016. As early as May this year, every trip I made to Whiskeytown Lake resulted in full limits of Kokanee salmon. The sheer numbers of adult size Kokanee was simply staggering and as the season wore on, it became clear that there were more Kokanee in the lake than we had seen in many years. Anglers from all over the state of California converged on Whiskeytown this last summer and it wasn't uncommon to see the Whiskey Creek boat launch facility filled to capacity, especially on the weekends. Every size boat you can imagine was seen on the lake trolling for Kokanee nearly every day of the season which went well into October. Local anglers took full advantage of the great Kokanee fishing and it really showed at the local sporting goods stores. The largest retailer of Kokanee gear in Redding, Sportsman's Warehouse, was hard pressed to keep the Kokanee tackle displays stocked. As soon as a shipment of new Kokanee tackle came in it was quickly depleted. The booming Kokanee fishery on Whiskeytown Lake was fueled by social media posts and outdoor online media as well. Even the well known fishing organization, Kokanee Power, held its first annual Kokanee tournament on Whiskeytown and it was a huge success. Participating anglers found easy limits of Kokanee and even weighted one in which exceeded the 16" inch mark early in the season. It was such a big success, Kokanee Power is already planning its 2nd annual Kokanee tournament on Whiskeytown this next summer. 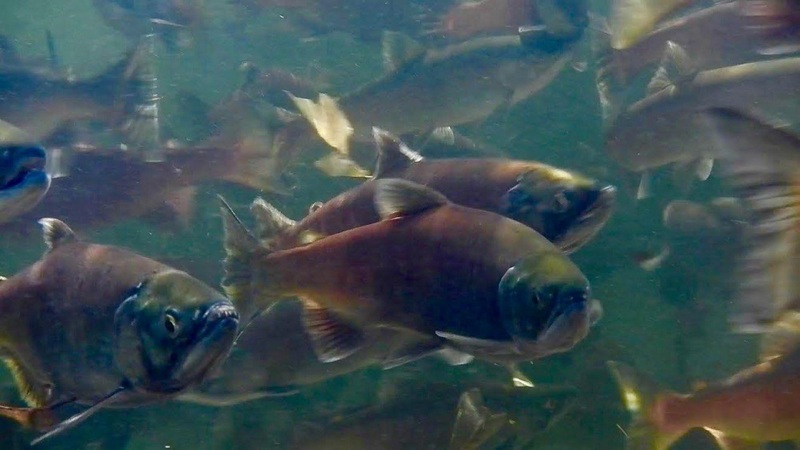 The Kokanee season came to a close in October when the adult Kokanee found enough water in the Whiskeytown tributaries after the seasons first significant rains. Clear Creek, Brandy Creek, and Whiskey Creek turned red with Kokanee. CDFW Biologist, Monty Currier explained that during their trips to monitor the Kokanee spawn, he observed more Kokanee spawning than he had seen in previous years. Currier has helped manage this fishery for many years and was quite happy to see just how healthy this population of Kokanee had become. 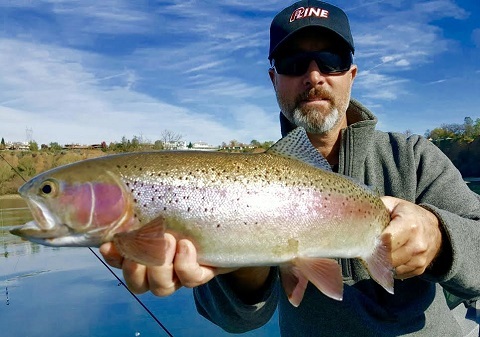 Although Whiskeytown Lake Kokanee populations are self sustaining, many lakes and reservoirs in California require programs to stock the Kokanee in order to make them available for the sport anglers. Typically, Kokanee salmon are purchased from hatcheries in Washington State in order to supply California waters. Currier says that CDFW is working on a potential effort to utilize the healthy populations of Whiskeytown Lake Kokanee to harvest eggs from ripe female Kokanee and will ultimately use those eggs to generate a supply of Kokanee for sport catch right here in California. 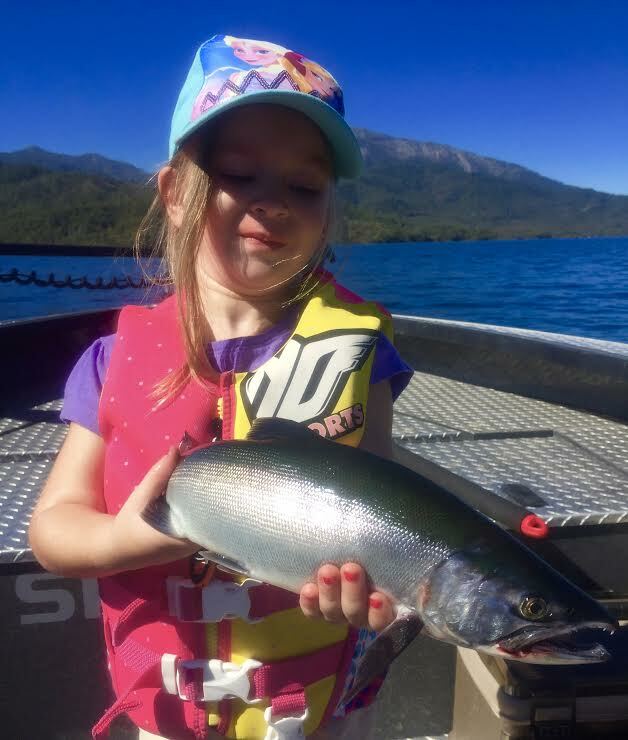 Whiskeytown Lake is a shining example of what good management by CDFW can bring to a body of water and will undoubtedly continue to be one of the best lakes in California to fish for Kokanee for years to come. Good fishing on Whiskeytown Lake in 2017 will likely begin in early summer. I expect the Kokanee fishing to be off the hook again next year and I'll be running guided fishing trips when it does turn on. Look for a special Kokanee salmon "how to" article when spring rolls around. 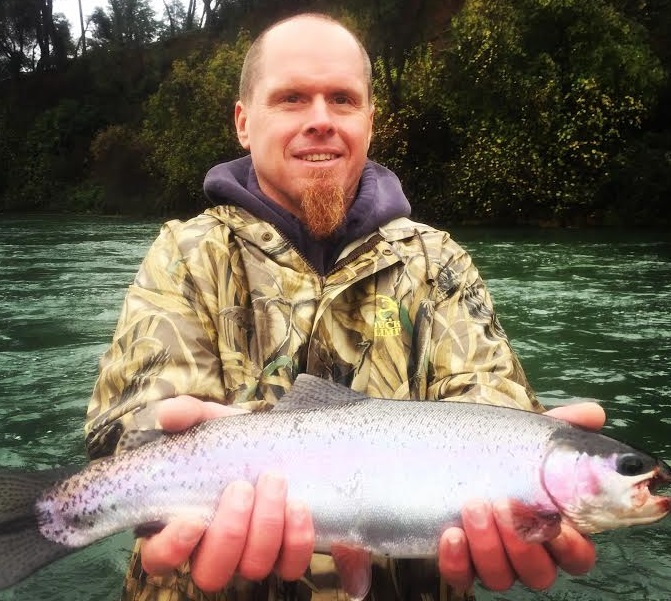 I'll lay out all the information on tackle and techniques to help you have successful days on the water when fishing Whiskeytown Lake for Kokanee salmon.